King County Metro will adjust more than 800 daily routes to make way for one of the biggest projects in Seattle history. Downtown Seattle traffic is about to hit another bump in the road. 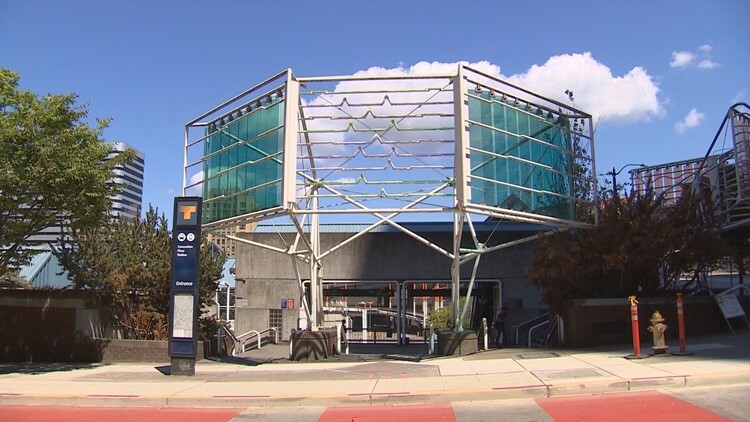 On Saturday, Metro will pull certain routes out of the bus tunnel, at the Convention Center Place Station. It’s part of a major change, the first, related to the expansion of the Washington State Convention Center. “Our bus trips are going to take a little bit longer, and buses will be taking a different route,” said Bill Bryant, managing director of the Metro Transit Division. More than 800 weekday trips will now stop near 9th, instead of inside the tunnel. It’s the first phase in rerouting for the expansion construction, which begins Monday. The $1.6 billion dollar project will take three years, and will ultimately force many more routes onto city streets. Bryant acknowledges it is a challenge, especially with concurrent projects running around the city, "all kind of happening at the same time." Colman Dock is in the midst of a six-year renovation and First Avenue is currently torn up in Pioneer Square. The deep bore tunnel is likely to open this fall, and the viaduct will be shut down. Throw in a KeyArena tear down, and you have multiple projects spread around downtown which will dramatically alter traffic. Scott Bojukian sees potential treasure in the traffic trash. He’s helping co-chair a group who want to Lid I-5, and sees the Convention Center project as an opportunity. "This is one option to kind of recharge this inventory of public lands by lidding over the freeway," he said Friday. "Our idea is to reclaim airspace making the best use of limited property in downtown - potentially expand that for parks, affordable housing." The Seattle City Council has approved a feasibility study, but Bojukian acknowledges any implementation may be years down the road. The city has to get through the “period of maximum constraint” first.